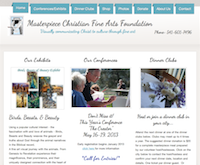 Masterpiece Christian Fine Arts Foundation seeks to visually communicate Christ to culture through fine art. They support the development and exhibition of faith-based fine art through workshops, conferences and exhibits in major cities. Currently my painting “Redemption” is on a 6 city west coast tour with MCFAF. Established in 1967, the Museum of Biblical Art in Dallas, Texas is unlike any museum in the world. 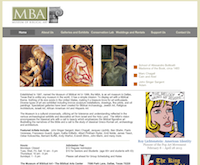 The MBA’s vision encompasses the classical arts which illustrate the narratives of the Bible and a call to the study of classical Greco-Roman art, archaeology and architecture. Since 2009 my painting, “Immanuel…God With Us” has been hanging in the MBA. As I visited the museum and saw works by Michelangelo, Andy Warhol, Mary Cassatt and John Singer Sargent, I stood before my painting in awe of the God Who paints through me. I am honored to be a representative for Calcutta Mercy; a holistic network of ministries serving the spiritual and physical needs of the underprivileged in India. Started by Mark and Huldah Buntain, areas of outreach include free medical treatment to over 40,000 patients every year in their Mercy Hospital, a daily feeding program for 25,000, education for thousands of children and 940 church plants. 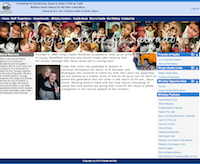 Calcutta Mercy is a non-profit organization dedicated to providing the best care and services for the diverse needs of people in India regardless of their religion, gender, or social class. 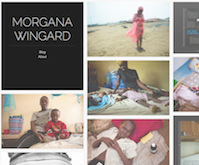 I met Morgana while working on a project for Calcutta Mercy Ministries. She is an amazing photographer, graphic designer and web designer whose heart is to help others. She does extensive work around the world with non-profit organizations to bring awareness, aid and justice to those in desperate need. Morgana took the photos that I painted “Overcome” from! 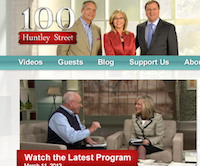 www.100huntley.com 100 Huntley Street is Canada’s longest running daily talk show. Authentic and interactive, they bring stories of people who have had life changing encounters with God – whether they be world leaders, celebrities, sports figures or everyday people like me. I was invited to be a guest on their Friday morning show, “Full Circle”. I was so nervous! 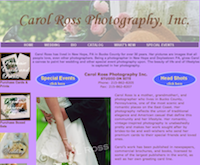 I have admired Carol Ross’ photography for several years. As a result, I was honored to partner with her in creating “Restored Beauty” as she graciously allowed me to paint from her photograph, “Clovers Tricycle.” Thank you Carol! 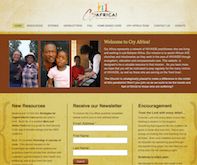 Cry Africa, a ministry of Assemblies of God World Missions/USA, was created as aHIV/AIDS initiative for sub-Saharan Africa. Through this ministry all profits from “Alasan” are being used to provide for a group home of HIV/AIDS orphans in Malawi, Africa. Since 1994 my parents and I have been very involved with King’s Castle Ministries in El Salvador doing relief work, medical care, construction and evangelism. Founded in 1989, King’s Castle Ministries purposed to raise up an army of Spirit-filled young people who would reach Latin America with the simple message that ‘Jesus saves and is coming soon’. Today that vision has expanded to dozens of countries throughout the world. 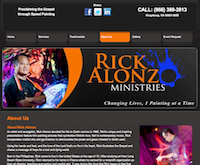 Rick Alonzo Ministries is a non-profit corporation committed to proclaiming the gospel through art, music and motion to reach a generation of sight and sound. My path crossed Rick’s when I pursued the domain name hispaintbrush.com Upon research I learned that it had been purchased just 3 weeks earlier for Rick. Through divine intervention and the generosity of Rick and his brother, I was given the domain name. Thank you Rick and Ray for your unspeakable kindness…beyond the domain!